Yitzhak Zahavy's fantastic book, "Archaeology, Stamps and Coins of the State of Israel"
A brilliant book. Available in Teaneck and worldwide on Amazon! This book explains how archaeology is used in the politics and nationalism of the State of Israel through its stamps, coins and currency. Taking the reader from the pre-state years to the modern day, Archaeology, Stamps and Coins of the State of Israel catalogs and analyzes the Israeli government issued materials that employ archaeological motifs. Purchase this excellent book online or pick yours up today at the Judaica House on Cedar Lane in Teaneck, NJ. Is Supreme Court Justice Sonia Sotomayor Jewish? No, Judge Sonia Sotomayor is not a Jew. She is Catholic. "Thirty years ago eight of the nine Supreme Court justices were Protestant. Now only two are. Five are Catholic, and two are Jewish. If federal appeals judge Sonia Sotomayor is confirmed as a replacement for Justice David H. Souter, who is Protestant, she will become the sixth Catholic justice on the court." Is Sotomayor the first Hispanic Supreme Court Judge? Technically, you could argue that Sephardic Jewish judge Benjamin Nathan Cardozo was the first Hispanic judge to serve in the US Supreme Court. Cardozo served from 1932 until his death in 1938. And now the crisis has come to a head. Nearly five years ago Michael Lewis in a brilliant article in Vanity Fair in 2010 explained the role of the monks in the Vatopaidi Monastery in the Greek Debt Crisis ("Beware of Greeks Bearing Bonds"). Apparently the monks engage in more than prayer and contemplation. Recently in my research for my current book, I learned that the great cantor Louis Danto passed away this year July 23, 2010 at age 81. Here is my recollection of the chazan extraordinaire, from a working draft of the chapter on the "performer" in my current book project (posted 11/1/2010). Cantor Louis Danto was a happy Hazzan. His chanting was upbeat and peppy. I heard him often at the Atlantic Beach Jewish Center as a child and teen ager in the fifties and sixties. I knew then that Danto was a world class singer, a tenor whose beautiful voice was trained yet ethereal. And I could see that he comprehended and loved the words of the prayers and cherished their meanings. I did not know at the time that he had studied at Yeshivas and in conservatories in Europe, that he had won prizes, that he later would go on to perform worldwide, to record many albums of Jewish songs, of folk, popular, romantic and operatic music. As a kid in Atlantic Beach, I did not know that later he’d be celebrated for his unmatched graceful yet ornate bel canto artistry, for his classical vocalization and his just plain beautiful singing. I just loved his extraordinary rendition of the shehechiyanu blessing after the Kiddush on a Yom Tov holiday. In it we simply praise God for keeping us alive and bringing us to this special day. His blessing rang out with such emotion and expressivity that it just lifted my soul. I can recall vividly to this day Danto’s ringing repeated conclusion of the blessing, “…to this day,” “Lazman hazeh, lazman hazeh…” And I’ve tried at every holiday to replicate the joy of that singing as best as I can in my own prosaic chanting of the same blessing. Danto defined for me how a formal davening should sound. Wow, he set the bar way high up. His lyrical davening changed the character of the sanctuary. From listening to him I learned that a good chazzan like Danto creates a palpable focus, a presence, a joyous and numinous, holy quality in the house of prayer. Not every congregation can be fortunate enough to have such a performer. Many synagogues still do have professional cantors who lead the services. However, for reasons that I have yet to figure out, many congregations these days want basically untrained volunteers to lead the prayers. You can hear and see a clip of Cantor Danto's mastery at a concert in Brooklyn in 1982: Moshe Koussevitzky Memorial Concert, Chapter 3, Cantor Louis Danto זצ"ל from Arthur Rubin Studios on Vimeo. Summer Promotion: Free Tzvee Kindle e-Books - Enjoy! June 25 - 29. Many of my Kindle e-books are free for five days as a promotion! Do all Korean Children Study the Talmud? 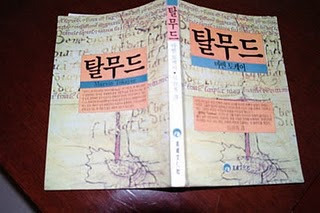 The Talmud is a Best-Seller in South Korea according to the The New Yorker. Is it a bestseller? Yes. Is it the Talmud? No! It is a long story and quite convoluted. 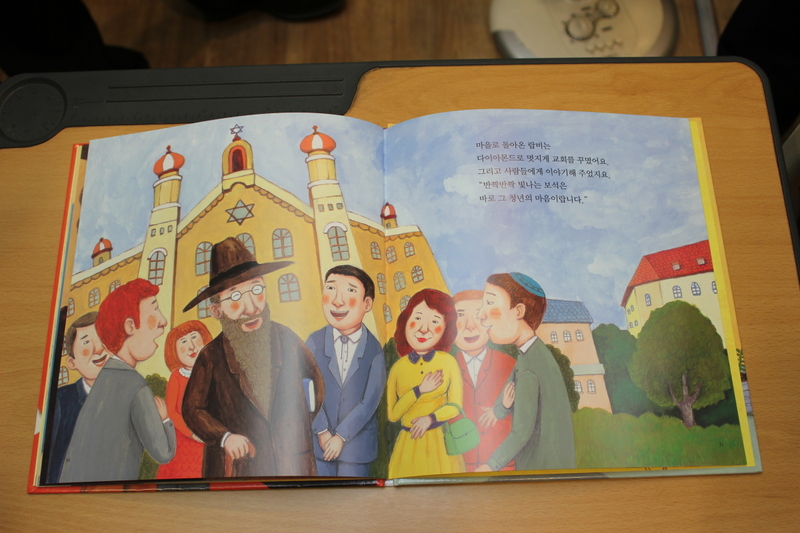 There are stories circulating that all South Korean children study the Talmud. Do they? We'll go out on a limb here and say, no, Korean children do not study the Talmud. We'll go further out on a sturdy limb and say that this whole story is akin to an urban legend. One blogger, Mostly Kosher, has tried to verify the news items claiming child Talmud study in Korea and he came away mostly "debunking" the story. He found that at best Korean children have heard of some Talmud stories and maybe even read them in an abbreviated comic book form and that they have a positive opinion about the wisdom that can be found in the Talmud. Another blogger, Raising Wings, has more details on the origins and content of the so-called Korean Talmud. That's a good thing, but it does not at all mean that Korean children engage in the serious and demanding enterprise of Talmud study. It is essential for Orthodox Judaism to provide women with full equality - to count them for a minyan, to call them to the Torah, and, after proper training, to ordain them as rabbis. 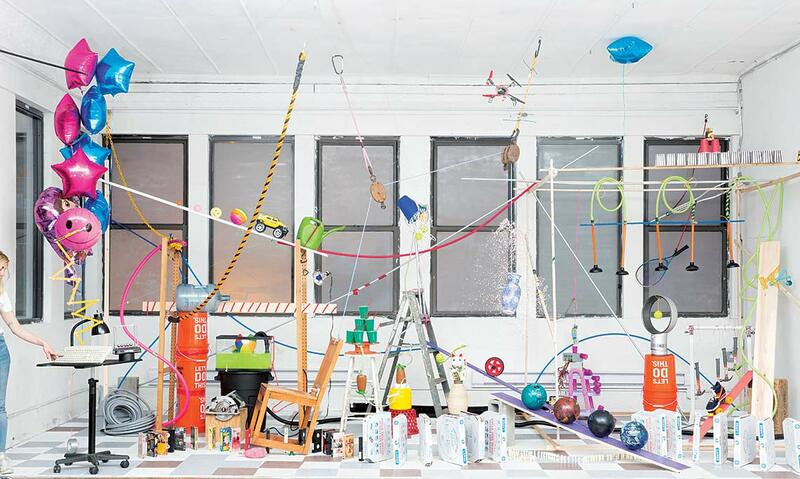 Here it is - a 31,000 word article that will explain to you everything you wanted to know about software development but did not know how to ask, by Paul Ford on Bloomberg and titled, "What is Code?" Hey, it's the cool stuff that I do. Yeah. Praying and the synagogue were central to my life since my early childhood. 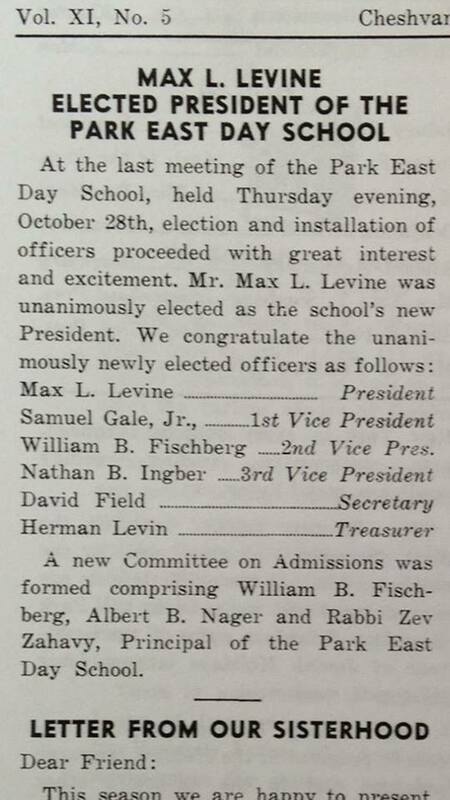 My father, Zev Zahavy, was the rabbi of several distinguished New York City synagogues on the West side and then the East Side of Manhattan. I recall many times accompanying him to his work. His study in the synagogue was off to the side of the main sanctuary, lined with books, filled with a musty smell and having the creakiest wood floor I ever walked on. 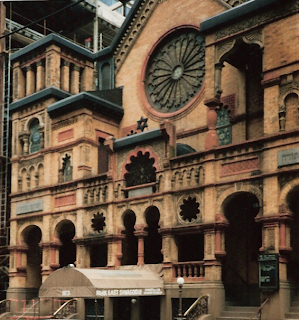 The synagogue in Manhattan at that time was a stately place with formal services, led by a professional Hazzan. My dad wore a robe and high hat - black during the year and white on the High Holy Days. My father was ambitious especially about increasing the attendance at the services. We had to count the number of people in shul and discuss that at the lunch table. Then he'd ask us how the sermon was and we all answered enthusiastically every week, "It was terrrrrrific!" Dear Rabbi - My sons are betting on the Belmont horse race, What can I do? I found out recently that my sons were betting on sports. I’m afraid that too much gambling will distract my kids from their studies or get them involved with the wrong elements. What can I do about this? Naturally they pushed back and objected. Really? All sports? You aren’t serious Dad, are you? So I thought a minute and admitted to them, “Yes, all sports are fixed, except for one. Professional wrestling!” And we had a good laugh. Since that time, year after year I hear of scandal after scandal in one sport after another. Baseball wagering and use of steroids, cycling and doping, soccer and bribery, deflated footballs. The list grows and grows. Sure, sports have a great entertainment value in our culture. And we do harbor the notion that when our children participate in team sports, that helps our kids become better team players in life. But corruption in sports indeed leads us to worry. Are the kids who play for a team going to learn to play the game fairly and by the rules? Or are they going to learn how to cheat? In New Jersey, you can find legalized gambling in local casinos, or via online sites, or even through lottery tickets at your corner newsstand. So if those are places where your kids are going to gamble, at least you don’t have to worry about the lawfulness of their activities. And you may know that in our present time and place the wagering business has been defended as part of a significant job creating industry. It’s another thing if you worry about the benefits of gambling for your children as persons or for society at large. We all know that the enticement of gambling is a grasping at the hope of winning despite the obvious odds that predict that you will lose. So you may want to tell your kids that you disapprove of their gambling for any or all of the reasons I have raised. However you should keep in mind that gambling can be an addiction, which means that it can be hard to treat and to beat. Let me hope (and pray) that your good advice to your kids and your wholesome upbringing of your children can help deter them from falling prey to the diversions of betting activities or the ills of addictions to gambling. Tzvee Zahavy earned his PhD from Brown University and rabbinic ordination from Yeshiva University. 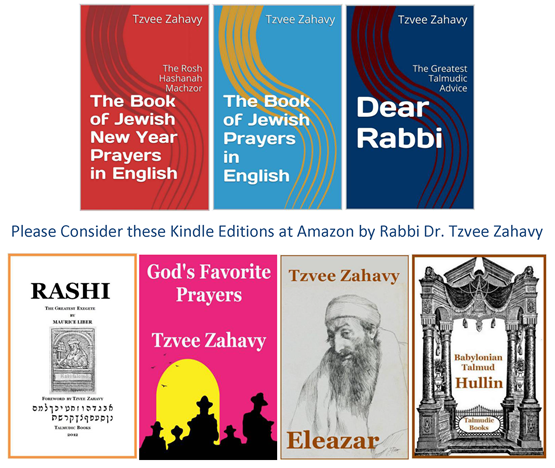 He is the author many books, including these Kindle Edition books available at Amazon.com: “The Book of Jewish Prayers in English,” “Rashi: The Greatest Exegete,” “God’s Favorite Prayers” and “Dear Rabbi” – which includes his past columns from the Jewish Standard and other essays. On Shabbat morning in the Orthodox synagogue that I attend the chazzan chants a prayer for the State of Israel after the Torah reading, before the Musaf service. Everyone in the shul stands up for this prayer, except for one man who apparently, to show his disapproval of the modern state, makes a point of sitting through the prayer. His act of passive defiance toward Israel annoys me and other people. What can I do? There has always been diversity in the religious response to Zionist movement. And there has often been opposition in the Jewish community of the diaspora to the methods and tactics of some Zionists. Nevertheless you do know that the several different major streams of Zionists joined together over a period of decades to found a Jewish State. Among the streams were groups of Political, Social, Cultural and Religious Zionists who worked sometimes independently, and sometimes together, toward a common goal. The state of Israel has always combined together diverse contributions from the politics of the left and the right, from policies and programs for society of secular socialists, from the creative artistic expressions of Jewish culture through art, music, poetry and fiction, and from the practices, devotions and traditional learning of religious Jews. 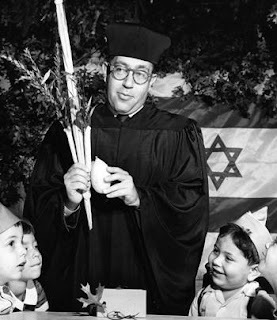 Back in the 1950s my father, Rabbi Zev Zahavy, was one of the few Orthodox rabbis who spoke and wrote often about the significance of the new State of Israel. He voiced in his sermons his view of the new state as a spiritual and cultural center for world Jewry. He was quoted on many occasions in the NY Times and elsewhere. I’m proud of how he stood up and spoke out for Israel while many of his rabbinical colleagues sat silently on the sidelines. Rabbi Arthur Schneier did not found the school. 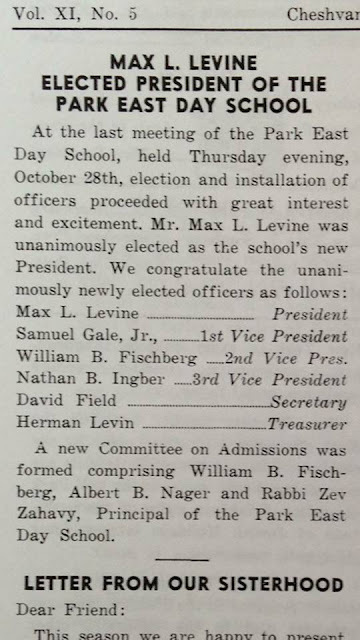 He was not employed by the synagogue until 1962. Sadly, Schneier demonstrates constantly that he is a man who loves to receive many honors, but who does not know how to give simple due recognition to his visionary predecessors or to the accomplishments of his peers.